If you need to find Lightroom’s files at any time, you’ll need to know where to look, so here are the most popular Lightroom file locations. By default, the boot drive is C: on Windows and Macintosh HD on Mac. If your operating system is installed on a different drive, you may need to replace the drive letter/name on the file paths that are listed below. [your username] refers to the name of your user account, for example, mine is called Vic. Preference files aren’t cross-platform. By default, Preferences are hidden files on Windows and Mac OS X. There are also separate startup preferences. These include the last used catalog path, the recent catalog list, which catalog to load on startup and the catalog upgrade history. On Windows, you can open the Start menu search box (Windows 7/10) / Search charm (Windows 8) and type %appdata%\Adobe\Lightroom, and you’ll be taken directly to the Lightroom user folder. On OS X, the user Library folder is hidden by default. If you go to Finder, select the Go menu, and hold down the Opt key, you’ll see Library appear in the menu, and then you can navigate to the Preferences or Application Support folder. Personally, I drag that Library folder to the sidebar so that it’s always easily accessible. To find them easily on either platform, go to Edit menu (Windows) / Lightroom menu (Mac) > Preferences > Presets tab and press the Show Lightroom Presets Folder button. Each type of preset has its own folder, for example Develop Presets, Filename Templates and Metadata Presets. Presets are cross-platform and are saved in a Lightroom-only format (.lrtemplate). They’re just text files with a different extension, so you can open them in any plain text editor. Your Develop default settings, lens defaults and custom point curves are shared with ACR, so they’re stored in the shared location, regardless of your Store presets with this catalog checkbox setting. Lightroom no longer uses the shared ProgramData (Windows) / Application Support (Mac) folders for Camera or Lens Profiles. Instead, it stores the built-in profiles with its program files. When you create camera or lens profiles, they must be stored in the user locations listed below. If you previously stored custom profiles in other locations, you’ll need to move them to these user folders, otherwise Lightroom won’t be able to find them. For the lens profiles, substitute the LensProfiles folder for the CameraProfiles folder in these paths. Thanks for a great article. I am moving from Windows to Mac, and my Preview and Smart Previews folders do not expand on the Mac. It treats it like a file rather than a folder. Any thoughts? That’s completely normal for the Mac – it’s called a Package File. If you need to see inside, right-click on it in Finder and choose Show Package Contents, but you shouldn’t usually need to do so. Thank you so much for this article, it’s really appreciated! However, I have a question. As soon I open Lightroom on my MacBook there is an “Adobe” folder appearing in my “Documents” folder with some “dynamiclinkmediaserver” stuff in it. The Documents folder is obviously the wrong place for Adobe to put stuff so my question is if you know how to change the location of that? Google gives no answer as far as I can tell….. I did a search where you suggest and it seems like this issue is already registred several times. Until it’s fixed I hide the folders with “chflags hidden ~/Documents/Adobe”. Is my user name what I use to log into my PC or is it the user name for my Adobe account when I purchased LR 6? Do I just type into my browser’s address bar to bring it up or is there another way to send it out to my laptop? It’ll be your computer username. Follow the instructions under “How do I show hidden files to find my preferences and presets?” above and you’ll go straight there. I created .dcp file using Adobe DNG profile Editor and put it into /Username/library/applicationSupport/Adobe/CameraRaw/CameraProfiles/PanasonicGH4 folder, relaunched LR6, but it still sees only “Adobe standard” profile. How to force LR6 to see this new profile? More general question: There are a lot of preset camera profiles already in the right folder. Why my LR6 does not see them, only “Adobe standard” ? You’re in the wrong spot. It sounds like you’re in the main Library folder, where LR puts its default profiles. You need the user library, which will only have profiles you’ve put there, and they’ll go directly in the Camera Profiles folder – you won’t need to create a Panasonic GH4 folder. I dont have a library folder ? How do I install the camera profiles ? It’ll be there somewhere. Follow the instructions under “How do I show hidden files to find my preferences and presets?” above. Thank you, I saw it after posting the comments, but I couldn’t delete it. Thank you for taking the time! On the lenses profiles,; I shoot RAW and I’ve noticed (new users to LR CC) that my lens are not resident in the Develop Lens Correction module, the lenses reside in the EXIF data in the Library module. How do I get my lenses in the Lens Correction area or doesn’t LR have those correction tables for all Nikon lenses. A backups folder right next to the catalog. Hi thanks for the article really helpful. The thing is under my Application Support – Adobe – CameraRaw are only 2 folders: CameraProfiles and LensProfiles. The thing is there are no Camera Profiles showing up in Lightroom. That’s super weird right? Double check you’re looking in your user account. There are multiple similar paths, and the user ones are hidden folders by default. Jep, I just found the hidden folder. Copied them there. Still just the adobe standard’s showing up..
You’re probably best to contact VSCO for support regarding their profiles, but restart Lightroom and also double check that you’re viewing a raw file from the right camera too. Can we change all these file location? if yes, how? Where are my Originals stored? I have found my “local copies” in the library but I don’t know where the Originals are kept ? Would it, by any chance, be where I imported them from? Also, if I select “Change default location” I don’t know what to change it to because I don’t know where I am changing it from! I’m so confused. Are you on the new Lightroom CC app John, by any chance? 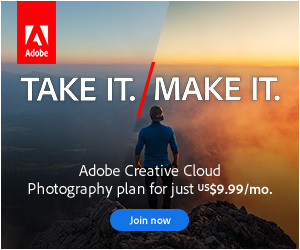 Or on the traditional Lightroom CC 2015 / Lightroom Classic / Lightroom 6? New Lightroom CC. Confusing, isn’t it? Regards. LOL Yep! I’ve just updated the post title, but I’m sure we’ll be having this debate for years. If you check “store a copy of all originals locally”, it’ll cache them all in that location, in addition to in the cloud. And if you change the location in that same dialog, it moves the originals to the new location of your choice automatically. I keep my “Master” files in a Folder sorted by date, location etc. etc. (as recommended by your good self!) Then I import them into the app into albums which are correspondingly put into folders which then looks very like my Master folder structure. What has confused me, I think, is that I had the impression that there would be a copy kept on the hard drive anyway but, now I do understand, is that LRCC is copying them from my Master file and sending them to the Cloud. I feel that I should maintain my Master file as the core, if you like, and that effectively, is my “local copy”. In that case, storing a local copy as suggested would be a touch of overkill. Do you agree with my thinking? The cloud-native Lightroom CC app works differently from previous Lightroom versions, in that it manages all the photos for you. In the short term, I’d recommend keeping a separate copy of your photos as an extra backup, in case of disasters or finger slips. Once they’ve got a decent trash functionality working in the cloud, then you could just check the “store a copy of all originals locally” checkbox and leave them to manage it (but personally I’d still take a copy of that folder every so often on another drive). I use Mac Time Machine so I should be OK anyway but I am so paranoid with backups of my photos (and I don’t think I’m the only one!) so I will take your advice. Many many thanks for your help. Please continue to do what you do. You are very very helpful to us numpties who just want an easy life and know that we are not going to get one! Very best wishes.